As I have UK Games Expo in less than 2 weeks time and a session to run tomorrow evening, a little prep appeared in order for The Dee Sanction. I have spent some of today doing just that – having spent yesterday assisting with more general event prep. The task resolution system now supports losing something to push for success. You might get hurt, lose faith, or fall flat with a damning slap to the ego. 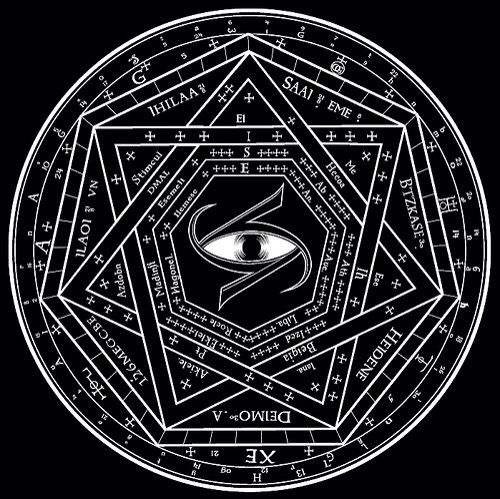 Power, Penance, and Prestige can each take temporary or more permanent damage – the former ticked off in the boxes, the later written out as something more permanent. So, you could tick off a Power, which indicates a twist, bruise or cut; three ticks mean something more permanent, like a broken bone, a minor concussion, or the loss of your favoured weapon. The new character sheet has spaces at the bottom for your three character creation cards – in order A, B, and C – and room at the top for marking your state of wellbeing. 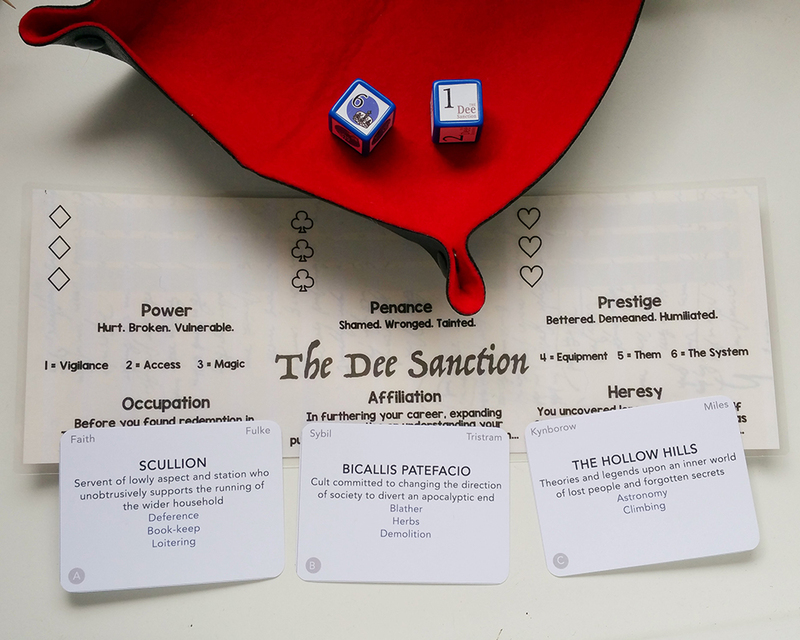 I have added more character cards – two new professions, three new affiliations, and three new bad books. That means I now have just one short of 12 cards for each – with the books falling short at 11. That works out as quite an array of skills, backgrounds and suggested period-appropriate names. Finally, my wife was good enough to offer to make an All Rolled Up dice bag for my game – and I helped pick out material. I can’t guarantee that anyone else would want a bag in the combination of fabrics selected – but, you never know. I’ll post a picture when it’s done. Aside from getting a handout or two prepared for the game, I should be ready for Expo (and tomorrow evening).